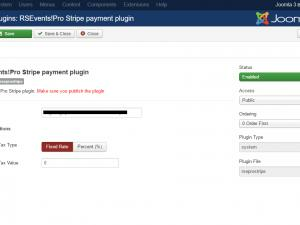 This RSEvents!Pro Stripe Payment Plugin is commercial and needs to be purchased separately. The price of the plugin is: 9 EUR. 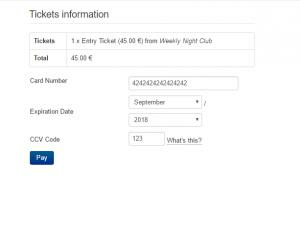 The RSEvents!Pro Stripe plugin allows users to pay for event subscriptions using Stripe payment processor. 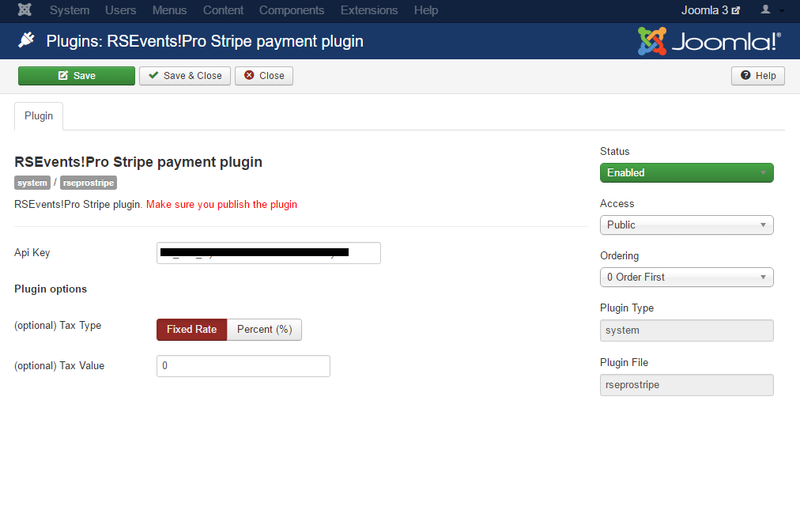 The plugin can be installed like any other Joomla! extension: Extensions > Manage > Install > Upload Package File, browse the file and click Upload and Install. More details on the installation process can be found here. Secret Key (sk_): this should be located in your Stripe account settings (more details). Publishable Key (pk_): this should be located in your Stripe account settings (more details). 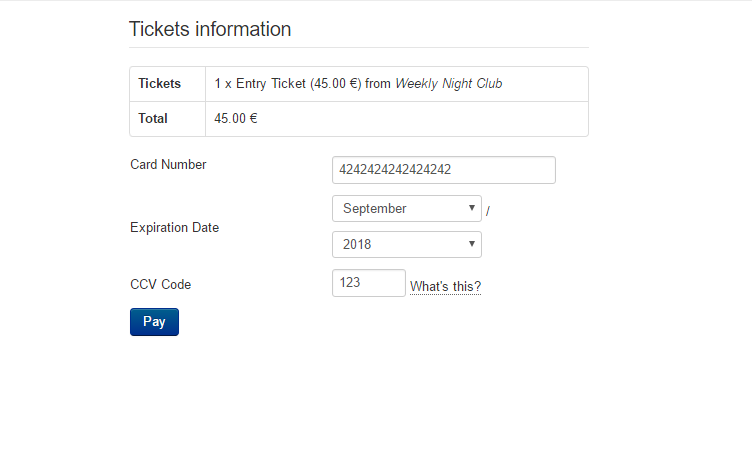 Use Tokens: No/Yes - when enabled, this will include the Stripe js library which replaces your credit card fields with Stripe fields, sending all credit card data directly to Stripe instead of passing it through your server.